LAKEFRONT home in Canadian Lakes featuring 3 bedrooms.. 2 1/2 baths and 3 car garage! Ideally located on picturesque Lake Laura is this charming and beautifully maintained- highly heat efficient -Solar Envelope Home! 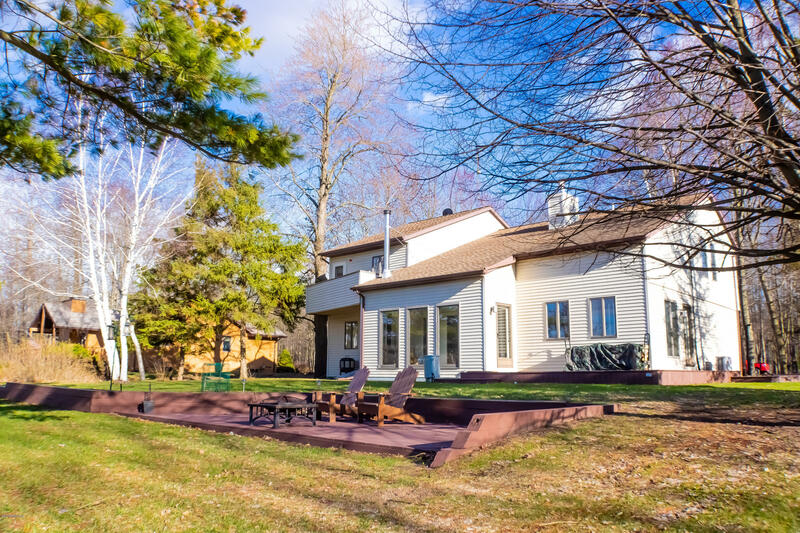 This property would be ideal for year around living, seasonal retirement or just an "up north getaway"! Featuring solid cherry wood doors, custom blinds, 17 ft. ceilings, new ( 2018) appliances (except for dishwasher)..including the washer and dryer! The rooms are large and spacious and the master suite includes a beautiful bath and on-suite..walk-in closet and a separate Jacuzzi tub. The 2 fireplaces offer comfort and relaxation during those cool evenings! Step out side to a beautiful beach area featuring panoramic views that will leave you in awe! Call Agent Today!